Continuing education credits accepted by ARRT*, SDMS, and ARDMS for ultrasound techs. We currently have more courses in development. Stay tuned and let us know exactly what you would like to see. Our current road map includes plans for development of courses for vascular and breast ultrasound CE courses. Ultrasound CE credits are needed for sonographers registered with ARRT, SDMS, and ARDMS. Here are some frequently asked questions. How do I maintain my ARRT credentials after I earn them? To maintain ARRT credentials, R.T.s are required to complete an annual renewal process and continuing education (CE) requirements every two years. In addition, R.T.s who earned their credentials on or after 1/1/2011 must complete CQR (continuing qualifications requirements) every 10 years. When is the ARRT annual renewal deadline? The ARRT annual renewal deadline is the last day of the R.T.’s birth month. So, if your birthday is on March 14, the annual renewal deadline for you is March 31 every year. Annual renewal can be completed online by logging into your ARRT account, completing the Application for Renewal of Certification and Registration, and paying the ARRT renewal fee. To successfully renew credentials, the R.T. must be up-to-date with biennial CE requirements. What are ARRT biennial CE requirements? The ARRT requires 24 Category A or Category A+ CE credits every two years. One credit is equal to one hour of continuing education, so 24 credits can be earned by attending 24 hours of CE activities every biennium. This system is followed by most state agencies as well. Approved CE activities include seminars, lectures, classroom learning, and online courses. What are ARDMS CME requirements? Who awards ARDMS CME credits? CME credits are not awarded by the ARDMS itself but credits earned must be ARDMS or APCA-approved. The list of ARDMS-approved organizations that meet CME requirements includes the American Institute of Ultrasound in Medicine (AIUM), Society of Diagnostic Medical Sonography (SDMS), and ASRT Category A and Category A+ credits, among others. Some of the certifications that are NOT accepted include nursing category A and category B credits, college credits, CPR certification, and contact hours. CE4RT.com is an approved ARDMS CME provider. Per ARDMS requirements, CME certificates provided by CE4RT.com include the technologist’s full name and ID number, printed dates of courses, printed ARDMS-approved provider organizations, printed titles of courses, and number of credits awarded. What is an SDMS CME credit? Credits awarded by the Society of Diagnostic Medical Sonography (SDMS) are accepted by the ARDMS and ARRT towards the continuing medical education of sonographers. SDMS CME credits are also accepted by the Canadian Association of Registered Diagnostic Ultrasound Professionals (CARDUP) and Cardiovascular Credentialing International (CCI) towards their continuing education requirements. SDMS CME credits are issued in increments of 15 minutes and each 15-minute segment is worth 0.25 credits. Therefore, 1 hour of didactic/lecture time is equal to 1 credit. Hands-on training during applications training or system optimization is approved at half credit, i.e., 1 hour of training equals 0.5 SDMS CME credit. An online CME course with a word count of 10,000 words is expected to take the average sonographer about 50 minutes to read for test-taking purposes (200 words per minute) and therefore equals 1 CME credit. What are the minimum and maximum SDMS CME credits accepted by ARRT? The ARRT does not accept less than 0.5 SDMS CME credits for educational activities. The ARRT accepts a maximum of 8 credit hours earned through applications training per biennium held at the technologist’s facility. Applications training held offsite has no cap on the number of hours. In addition, the ARRT does not accept SDMS CME credits for clinical instructorship and some self-instructional activities. Technologists are required to maintain documentation related to SDMS-approved CME activities for a period of four years at a minimum. Do I have to complete a certain number of lecture credits, classroom credits, and online credits? Currently there is no restriction on the type of CE credits a technologist must complete as long as they are approved by ARRT as Category A or A+ CE credits. What is the difference between Category A and Category A+ credits? Recognized Continuing Education Evaluation Mechanism (RCEEM) is a method to evaluate the content and quality of an educational activity. All CE activities must be approved by RCEEM or RCEEM+ organizations to be assigned as Category A or Category A+ credits, respectively. Organizations with RCEEM status that can approve Category A CE activities include the American College of Radiology (ACR), the American Institute of Ultrasound in Medicine (AIUM), and the Society of Diagnostic Medical Sonography (SDMS). Organizations with RCEEM+ status that can approve Category A+ CE activities include the American Society of Radiologic Technologists (ASRT) and the Radiological Society of North America. Do ultrasound techs need Category A or Category A+ CE credits? Ultrasound techs need Category A credits related to their area of practice. Category A+ credits are acceptable, but not necessary. What are the specific CE requirements for Sonography R.T.s? R.T.s holding ARRT certification and registration in sonography are required to complete a minimum of 16 sonography-specific CE credits. These sonography CE requirements are integrated into the requirements needed to maintain ARRT credentials, i.e., the 16 credits that are specific to sonography count towards the total 24 credits that are required every biennium. 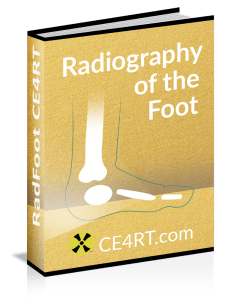 Sonography-specific CE activities must address the knowledge and skills outlined in the ARRT’s Sonography Content outline. Should CE be specific to my job performance? CE requirements were developed with the philosophy that R.T.s are in the best position to determine what type of CE will benefit them. All technologists should select CE topics that are related to their area of practice. As noted, technologists with an ARRT certification and registration in sonography are required to complete 16 CE credits specific to this discipline. Do I need to complete additional credits for each discipline that I am certified in? The CE requirement is not dependent on the number of disciplines a technologist is certified in. However, as noted, R.T.s should select CE topics related to their area of practice to maintain competence and avoid becoming professionally obsolete. Most state agencies follow the example of the ARRT. Do CE activities accepted by other credentialing organizations satisfy ARRT’s CE requirements? CE activities approved by RCEEMs such as AIUM and SDMS are accepted to be in compliance with the sonography-specific CE requirement. In addition, CE activities approved by ASRT, AHRA, and state licensing agencies that include the words “sonography” or “ultrasound” in the title are considered compliant with the sonography-specific CE requirement. All Category A or A+ credits must be approved by a RCEEM or RCEEM+ or by an ARRT-recognized state licensing agency. A certificate or written documentation must clearly indicate that the activity is approved by a RCEEM or RCEEM+. What is the ARRT biennial reporting period? Similar to the annual renewal deadline, the biennial reporting period is also linked to the R.T.’s birth month. Each two-year period begins on the first day of the R.T.’s birth month and ends two years later on the last day of the month prior to the R.T.’s birth month. The end of one biennium marks the beginning of the next biennium. For example, if your birthday is on April 14, a biennium will be assigned from April 1, 2017, to March 31, 2019. The next biennium will start on April 1, 2019, and end on March 31, 2021. The dates assigned to an R.T. are identified on the Application for Renewal of Certification and Registration. All CE activities must be completed and reported between these dates. What is an ARDMS triennium? The ARDMS has a three-year CME period which can be viewed by logging on to MY ARDMS. The triennium is a three-year period in which 30 CME credit hours must be completed to maintain certification and active registry status by the ARDMS. The ARDMS CME period is based on calendar years. This impacts the start and end dates of the triennium because three years are counted from January 1 after the credentialing date. For example, if a technologist is credentialed on June 15, 2018, the initial triennium will run from June 15, 2018, to December 31, 2021, and include the years 2019, 2020, and 2021. The next triennium will begin on January 1, 2022, and end on December 31, 2024, and include the years 2022, 2023, and 2024. The required CME credits must be completed within the triennium (three calendar years). I completed more than the required CE credits in the past ARRT biennium. Do they carry over? No. Credits do not carry forward to the next biennium. State agencies follow the ARRT’s example. When an R.T.’s Renewal of Registration is processed, the CE’s earned in that biennium cease to be valid for any future reporting periods. Can I change my biennial reporting period? As noted, biennium dates are assigned based on a technologist’s birth month. The ARRT does not permit a change in the month or day when the biennium starts and ends. However, requests to change the start and end years for the biennium may be submitted in writing to the ARRT. State licensing agencies may have different requirements. Can I complete my CE credits before or after the biennium? The biennial reporting period is important for earning and reporting CE. The credits must be earned within the assigned biennium, not before and not after. These dates appear on your credential card. The credits can be reported no earlier than two months prior to your birth month and must be completed and reported by the last day of your birth month. When do CE requirements begin for new R.T.s? For newly credentialed R.T.s, the CE requirements begin on the first day of their next birth month after the examination is administered. So, if your birthday is in October and the date of your initial certification and registration is in November 2017, your biennium will begin on October 1, 2018, and continue up to September 30, 2020. If an R.T. becomes certified in additional disciplines, he/she maintains the initial biennial reporting period. Therefore, sonographers maintain the same CE reporting period that was assigned when they first became an R.T.
What is the process for reporting ultrasound CE credits? ARRT-certified R.T.s need to submit an application to renew their registration towards the end of the two-year period, but not after. The credits earned by the technologist in the preceding biennium must be listed on the report form of the application. Credits can only be reported at the end of the two-year period. State licensing agencies have structured their reporting requirements around this system. Does ARRT maintain records of a technologist’s CE credits? No, the ARRT does not keep track of an R.T.’s CE credits. The R.T. is responsible for maintaining their own records. Similarly, most state licensing agencies also do not keep records of an R.T.’s CE activity. It’s the R.T.’s duty to keep documentation of the courses they’ve taken. For courses purchased here at CE4RT.com, records are maintained online and can be retrieved at any time. How do I maintain ARDMS CME documentation? The ARDMS requires technologists to maintain CME documentation for a period of four years in case they are audited. The technologist should keep the certificates and mail them in if audited. Records of courses purchased here at CE4RT.com are maintained online and can be retrieved at any time. The CMEs can also be uploaded to the ARDMS CME Bank for easy electronic storage and integrated online retrieval during an audit. What is the ARDMS CME Tracker Program? For the convenience of technologists, the ARDMS has established a direct CME reporting agreement with some organizations, including the Society of Diagnostic Medical Sonography (SDMS), the Institute for Advanced Medical Education (IAME), the American Society of Echocardiography (ASE), the Society of Vascular Ultrasound (SVU), and the American Society of Radiologic Technologists (ASRT) for Category A and Category A+ credits. CMEs earned through these organizations are automatically updated through the tracker program in the technologist’s CME Bank. What is the process for reporting SDMS CME credits? Approved providers who offer CME courses are required to submit a roster of participants to the SDMS within 30 calendar days of completion of the activity. Providers are also required to use the SDMS online system to create certificates for participants. All the information submitted by the CME provider is automatically updated into the SDMS CME Tracker System and transferred to the ARDMS daily, Monday through Friday. Will CE4RT.com report my credits to the ARRT? No. It is your responsibility to report your CE credits to the ARRT and/or state licensing agency based on specific requirements. CE4RT.com does report to the Florida licensing agency, but technologists are still required to report CME activities themselves as well. Does CE4RT.com keep a copy of previous CE courses? All courses completed here at CE4RT.com are kept on record and are accessible at any time. A mechanism to record CE credits obtained elsewhere is under consideration, but this is currently not available on our site. Does the applications training I received at work count towards ARRT’s CE requirements? The ARRT allows a maximum of 8 CE Credits per biennium from applications training at the technologist’s facility. Technologists who receive more than 8 credits for on-site applications training can only claim 8 credits. The completion documentation for applications training must be issued by an approved provider. Do academic classes I took in college count towards CE credit? Yes, academic courses that meet the ARRT’s criteria and sonography content specifications may be claimed as CE credits. The R.T. can claim 12 CE credits per 1 quarter hour course and 16 CE credits per 1 semester hour course. It is a good idea to confirm in advance with the ARRT or your state registry if you plan to claim college courses towards your CE requirements. I have earned an additional certification and/or registration. Does this equate to ARRT CE credits? Prior to January 1, 2018, additional certifications such as ARRT Breast Sonography, ARRT Vascular Sonography, and ARDMS initial certification were equivalent to 24 CE credits. Beginning 1/1/2018, earning an additional certification will no longer equate to 24 CE credits. What about ARDMS – do new credentials count towards CME credits? When a technologist earns a new credential or passes a new specialty exam, the ARDMS waves 15 credits. The waved CMEs can be viewed in the CME Bank and are valid for the three-year period in which they are earned. What should I do if I could not complete CE credits within the ARRT biennium? R.T.s who apply for registration renewal without meeting the CE requirements or technologists who submit incomplete documentation are automatically transferred to a “probation” status. The probation period extends from the first day of the R.T.’s birth month to the last day of the month six months later. During this probation period, the technologist must complete the missing credits. There is no need to complete any additional penalty credits. Once the credits that were lacking have been completed, a probation report form needs to be submitted to the ARRT along with a $50 fee. Once compliance with biennial CE requirements is confirmed, the probation designation is removed and the R.T. receives a new credential card. At the end of the probation period, if the R.T. is still not in compliance with CE requirements, the ARRT certification and registration is discontinued. Reinstatement is based on current policies as noted in the ARRT Rules and Regulations. Does passing an exam for a course I took at CE4RT.com count for CE credit? Yes. Upon passing an exam for one of our courses, the time you earned a passing score is recorded and printed on the certificate of completion. This is available for verification by the ARRT and/or the state registry. This provides instant compliance with the number of credits stated for the course and documented on the certificate. All you need to do is report the CE completion to the ARRT. What is an ARRT CE audit? On occasion, the ARRT audits the CE reported by technologists. This is an official verification of the CE credits reported by you. The ARRT will discontinue the certification and registration of a technologist who does not respond to a CE audit. Records are selected for audit by two methods: (1) If a record is flagged due to inconsistencies in the reporting form and compliance remains unconfirmed; (2) Through random selection. The ARRT auditing process is not very complicated. Technologists are expected to retain copies of all CE certificates that were reported to the ARRT. In response to an audit, the R.T. simply needs to submit copies of these certificates to the ARRT. The code on the certificate is used by the ARRT to confirm that the credits are authentic. CE4RT.com welcomes any request from employers, state agencies, or the ARRT for verification of credits earned at our site. What is the ARDMS audit process? The ARDMS conducts a random audit process every March and selects some technologists who have completed their three-year CME period. The ARDMS sends written notification if a technologist is selected for audit and the technologist has one month (until April 30) to submit the required CME documentation. If a technologist who is selected for an audit has the required number of CME credits in the CME Bank, they may automatically pass the audit. What happens if a technologist misses the ARDMS CME audit deadline? If a technologist misses the April 30 CME audit deadline, they are eligible for CME Reinstatement by paying a $150 fee and submitting multiple documents by August 1. If this date is missed, the ARDMS credentials are permanently revoked and the technologist is no longer an ARDMS registered professional. As part of the reinstatement process, the technologist is required to send 40 ARDMS-approved CMEs if the original requirement was 30 CMEs and 80 CMEs if the original requirement was 60 CMEs. These CMEs must be earned in the three-year period (triennium) and reported to the ARDMS office by the August 1 deadline. Copies of certificates should be submitted to the ARDMS and originals should be kept in your personal file. The reinstatement fee can be paid online by credit card through MY ARDMS or by mailing in a check or mail order, preferably through certified mail so that you receive a delivery receipt. Why do I need a post-completion test after directed readings, but not after lectures? The exams for courses on CE4RT.com are designed to comply with the minimum ARRT requirements. The post-course test provides confirmation that a technologist has participated in the directed reading. The test also assesses the technologist’s understanding and learning of the course material. For lectures, participation is documented through attendance and an examination is not necessary. Where do I get more details on CE requirements for ultrasound technologists? More information on ARRT CE reporting requirements for ultrasound technologists is available here. Information on ARDMS CME requirements is available here.